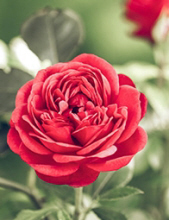 Cherryville - Mrs. Katherine Spencer Gilbert, 67, of 432 Old Fallston Road, passed away on Wednesday, January 30, 2019 at Hospice at Wendover in Shelby. Mrs. Gilbert was born on May 31, 1951 in Cleveland County, NC a daughter of the late James Spencer and Farry Brittain Spencer. She was retired from GiGi's in Cherryville and was a member of Unity Independent Baptist Church in Shelby. In addition to her parents she was preceded in death by a grandson, Scotty Kale and a sister Flora Ann Costner. Survivors include her husband, Jerry H. Gilbert of the home; two daughters, Laura Ward and husband Marty of Lincolnton; Penny Gilbert of Cherryville; a granddaughter, Tami Kale; a great grandson Samuel Kale and a sister Donna Gilbert of Cherryville. Visitation will be on Friday, February 1, 2019 from 1:45 to 2:45PM at Stamey-Cherryville Funeral Home and at other times the family will be at the home. Funeral Services will be held at 3:00PM on Friday, February 1, 2019 at Stamey-Cherryville Funeral Home Chapel with Rev. Chris Little officiating. Burial will be at Unity Independent Baptist Church Cemetery. Stamey-Cherryville Funeral Home & Cremation Service is serving the family of Mrs. Gilbert. To plant a tree in memory of Katherine Spencer Gilbert, please visit our Tribute Store. "Email Address" would like to share the life celebration of Katherine Spencer Gilbert. Click on the "link" to go to share a favorite memory or leave a condolence message for the family.